If you’re a fan of thick, creamy and pigmented yet moisturizing concealers like Tarte’s Maracuja Creaseless Concealer or IT Cosmetics’ Bye Bye Under Eye Concealer but want a cheaper alternative then you need to check out NYX’s Gotcha Covered Concealer. 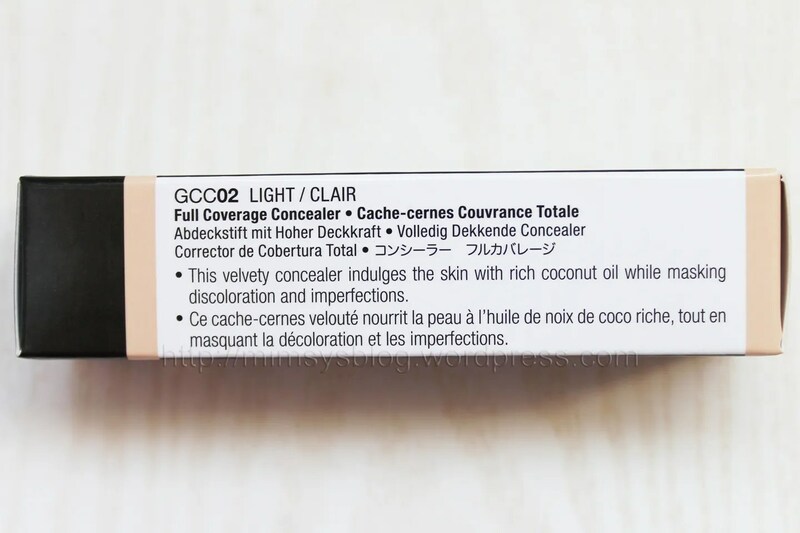 It’s the closest drugstore option I’ve found that not only mimics the texture but also finish of those concealers. I purchased mine at Target for $5.99. IT Cosmetics’ Bye Bye Under Eye Concealer has been my go-to under eye concealer for years (I use mine so often the writing on the tube has worn away) but prior to that Tarte’s Maracuja Creaseless Concealer had been my favorite. Both products are awesome if you suffer from dry skin and dark circles because of how moisturizing they are and the fantastic coverage they both offer. The Maracuja Concealer has a softer satin finish compared to the slightly dewier Bye Bye Under Eye (BBUE). My skin is ultra dry and I prefer BBUE because it leaves my under eye area looking more hydrated. 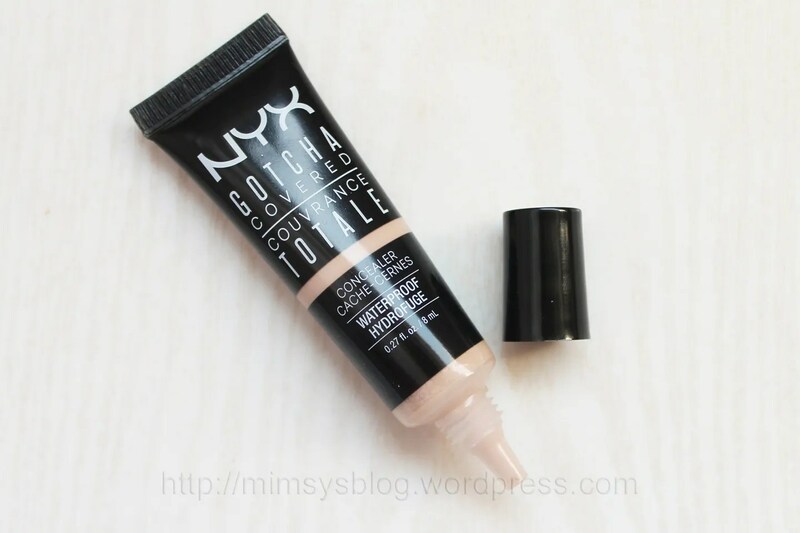 That’s a bit of my concealer history so you know that when I name the NYX Gotcha Covered Concealer as a possible dupe that I’m not just pulling that out of thin air. I feel like I have a lot of experience using both the Tarte and IT Cosmetics concealers and can confidently say that the NYX concealer is the closest thing I’ve ever found to either of those concealers. All three concealers come in the same delivery system: a plastic squeeze tube. All three concealers are super thick and creamy with a satin or dewy finish. All three concealers claim to be full coverage and waterproof. All three concealers are fragrance free. All three concealers contain approximately the same amount of product. The Tarte Maracuja Creaseless Concealer is $25 for 0.28 fl oz. 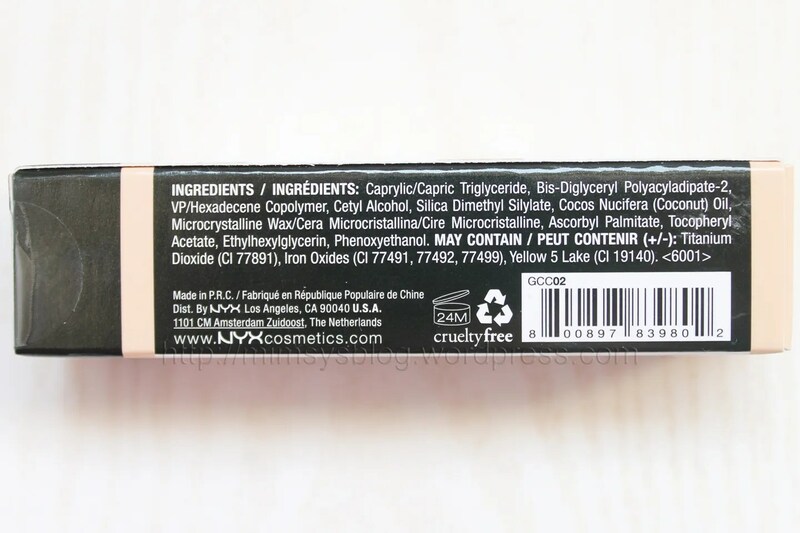 The IT Cosmetics Bye Bye Under Eye is $24 for 0.28 fl oz. 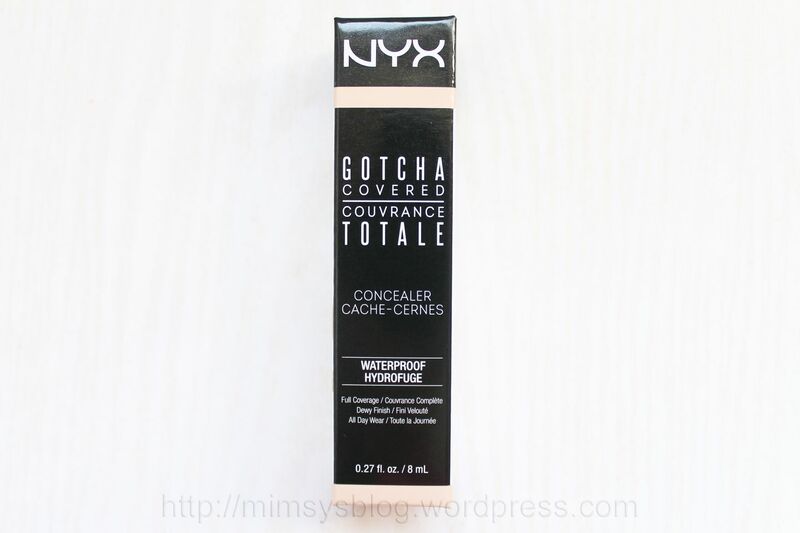 The NYX Gotcha Covered Concealer is $5.99 for 0.27 fl oz. The Tarte concealer is available in 15 shades. The IT Cosmetics Concealer comes in 4 shades. The NYX concealer comes in 10 shades a newly expanded range of 20 shades (I chose Light, the second current fourth lightest shade). I no longer own Tarte’s Maracuja Concealer because I got rid of it when I fully converted to IT Cosmetics’ Bye Bye Under Eye, so unfortunately I can only swatch and compare the NYX concealer in detail with the BBUE for you. In terms of consistency and finish, the Gotcha Covered Concealer is spot on. Same dense, rich consistency with the same dewy/glossy finish. 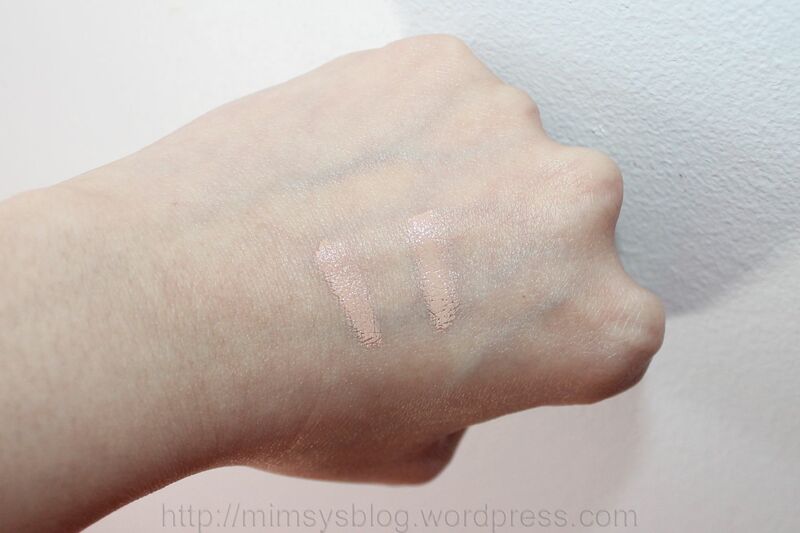 The shades I own — NYX Gotcha Covered (Light) and IT BBUE (Neutral Medium) — are also really similar. The NYX leans slightly pink compared to the peachier BBUE but honestly the two shades are so, so close. Coverage is where the NYX falls a bit short for me but only just barely. I need to use an itty bit more of the Gotcha Covered to achieve the same amount of coverage I get with BBUE but it’s easy to do and I don’t feel like I’m sacrificing a ton of coverage for the lower price tag. The coverage is still very good. The only advice I can offer is to squeeze some of the NYX concealer onto the back of your hand first, warm it up by smoothing it out with a fingertip and then tap the concealer onto your under eye area. I find that helps to thin the product slightly and makes it easier to spread and blend on the skin. You can definitely go back in with a brush afterward to blend some more but I find that warming/thinning step helps ease the process. FYI This is exactly the same method I use with the Tarte and IT Cosmetics concealers. Like the Tarte and IT concealers, the NYX stays feeling a bit tacky on the skin so you may want to set it with powder to mattify the shine and take away the tackiness. Since my skin is so dry, I never set my makeup or under eye concealers with powder but once in awhile if I feel the concealer’s looking a bit too dewy I like to go in with a clean, dry beautyblender and gently blot the area. I find that that helps tame some of the shine without diluting the coverage (as a damp beautyblender would) and avoids completely mattifying my skin. This entry was posted in concealer, makeup, NYX. Bookmark the permalink. Ooh this must be new! I’ll have to look for it. 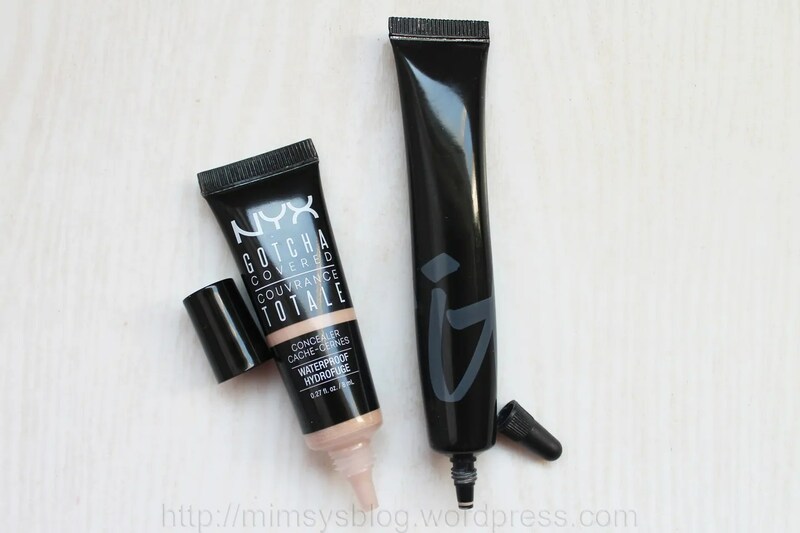 I’ve been eyeing NYX concealers but haven’t decided which to try – they offer so many! I was thinking of the HD one but I think this might be the one! Yeah, I think these came out earlier in the year. I’ve seen them at Target and CVS and I think Ulta also carries them. They’re a really good drugstore dupe for the Tarte and IT concealers IMO.